Positioning is how the firm or brand wants to be perceived by consumers relative to its competitors. 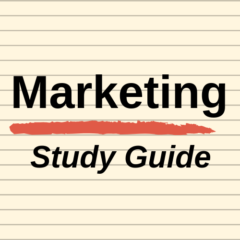 It is a very important topic in the study of marketing and usually forms the basis of a firm’s competitive strategy. Typically the firm structures its entire range of marketing mix elements around their chosen positioning. There are a number of ways of constructing positioning in the minds’ of consumers, such as by highlighting product benefits, or product attributes, or by user or usage and so on. However, this below video provides an excellent example of how to position against competitors – in this case, credit unions versus banks. It is also a very clear example of what is meant by brand personality. Basically, brand personality is where the brand can be easily perceived as a person with distinct traits and values. Credit unions are member-owned (or customer-owned) financial institutions. And, as such, generate profits simply for their capital reserves and for the long-term financial security of their members. Credit unions have tended to use this point-of-difference when communicating their benefits to the marketplace. Therefore, overall banks (in this video) are being positioned against credit unions as profit-driven, non-social, manipulative (by changing their story throughout) and a little confused about what consumers really want.